Markham Fairgrounds is located in Markham, Ontario, Canada. This is the second largest and one of the most popular fairgrounds in the country. Every year, it hosts some of the most renowned international events, linked to various industries. 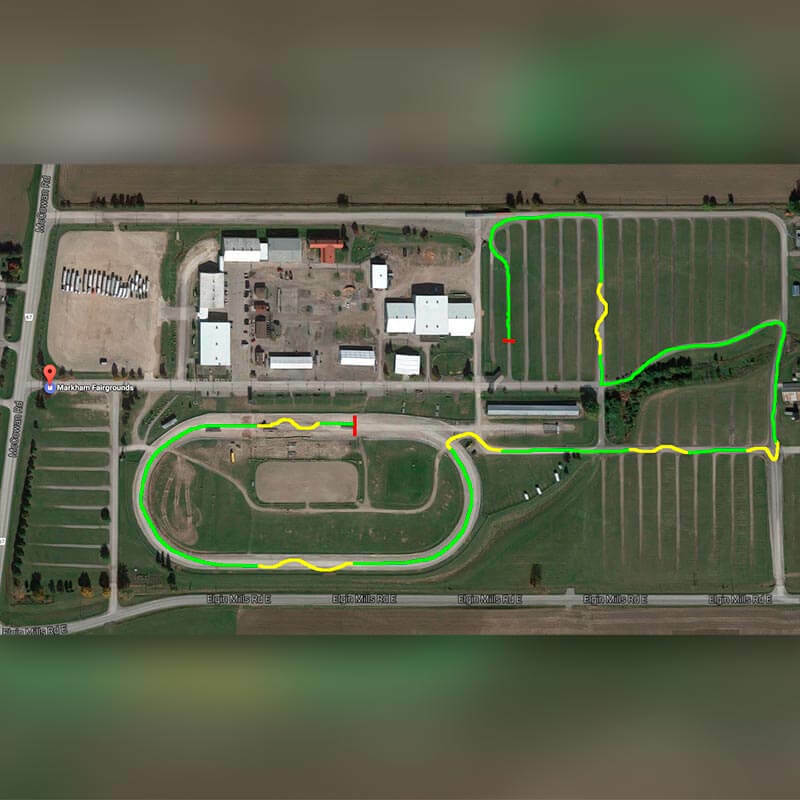 Race Lab course layout in Markham Fairgrounds is the smoothest mixed surface track you will find in Canada. It is perfectly suited for advanced car control training and fun. 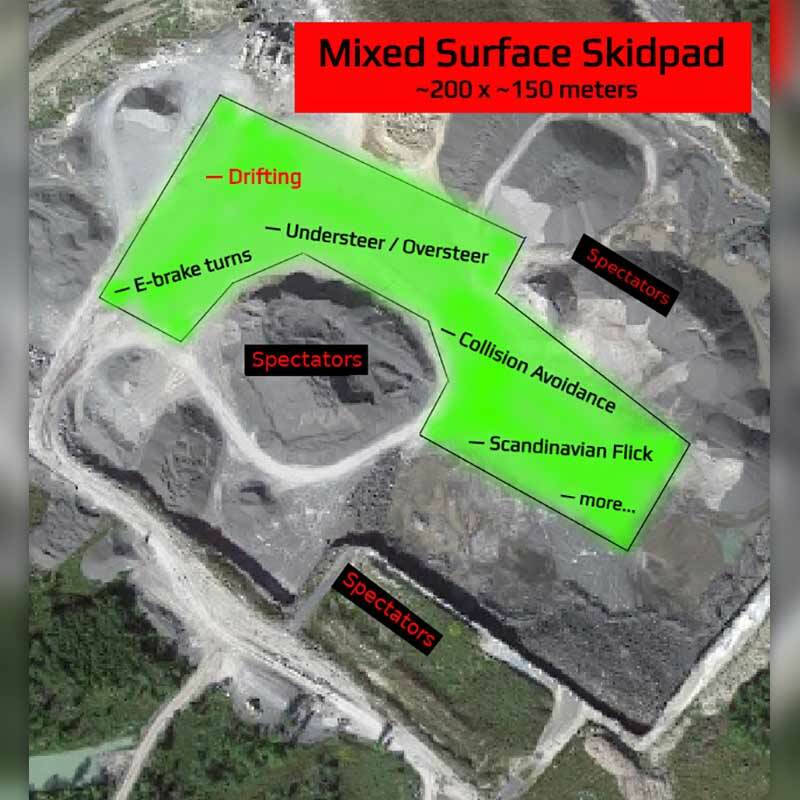 The track features super smooth finely crushed stone (feels like very hard packed sand), super smooth gravel and tarmac. 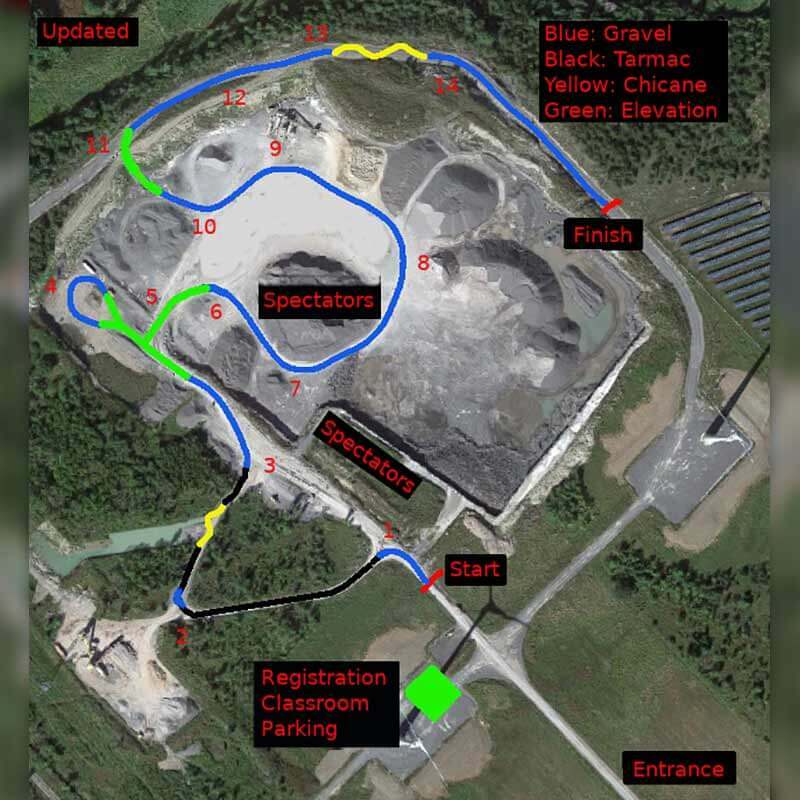 The course features corners that are 3-4 cars wide, where guests can push cars to the limit and drift safely, and narrow and technical sections, where precision driving is key. Race Lab's most advanced mixed surface closed course training facility available to general public. Approximate driving time: 2 hours 20 minutes from Toronto and 2 hours from Ottawa. 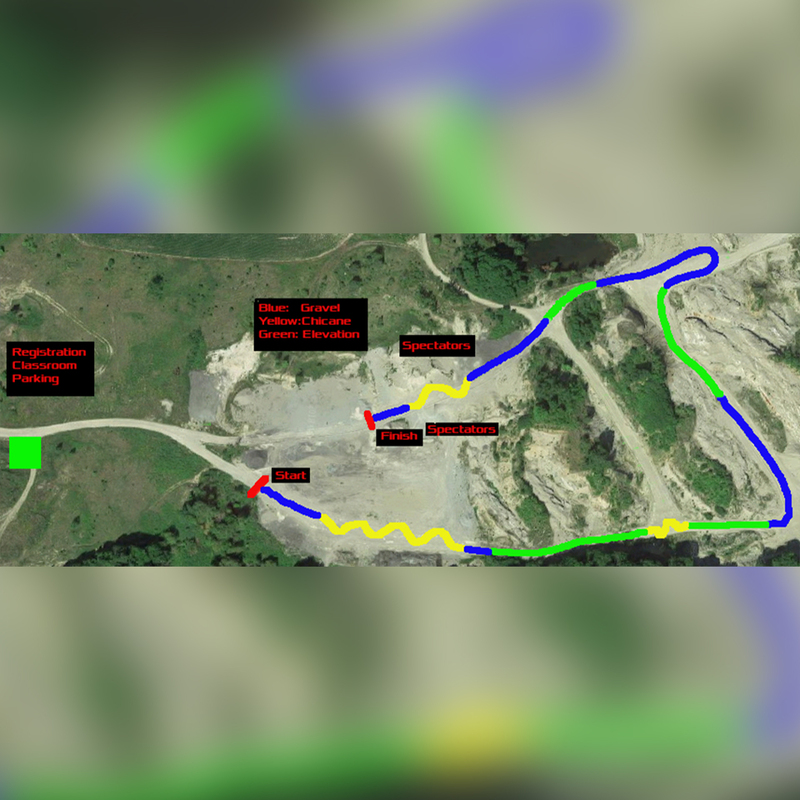 Same as Millhaven Quarry, Brown Pit is Race Lab's very advanced mixed surface closed course training facility available to general public. 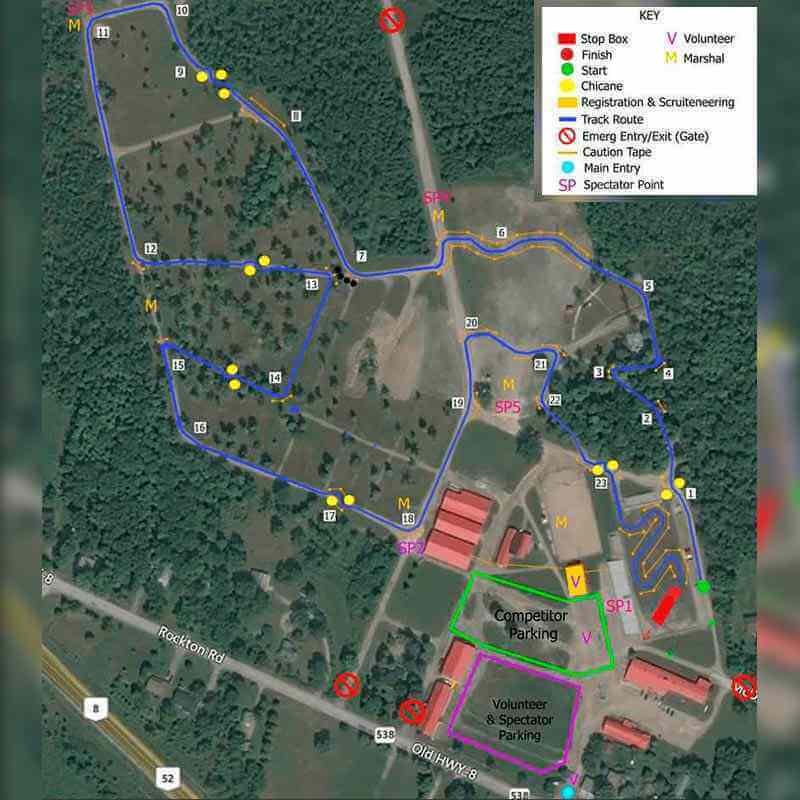 In a longer configuration this venue is also used for rally car and Baja/Dakar truck testing. Approximate driving time: 2 hours 55 minutes from Toronto and 1 hour 30 minutes from Ottawa.